PHOENIX – When you’re out hiking, you never know what you might see. You could cross paths with lizards, tarantulas or maybe even something bigger, like a javelina. More likely, you’ll come across the tracks of these critters. 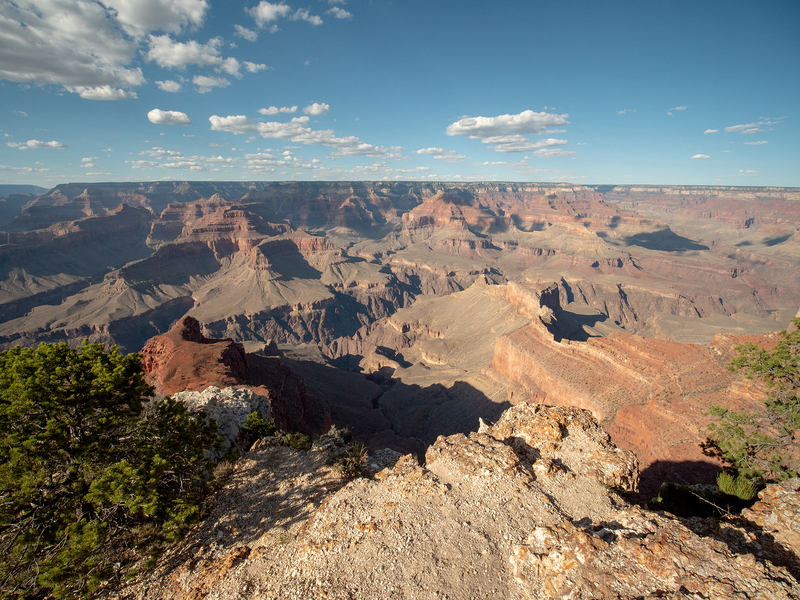 But imagine you’re hiking in the Grand Canyon and you happen upon a slab of fallen rock that has some odd indentations, like overly baked footprints. That’s what happened to a group of hikers on the Bright Angel Trail last year. 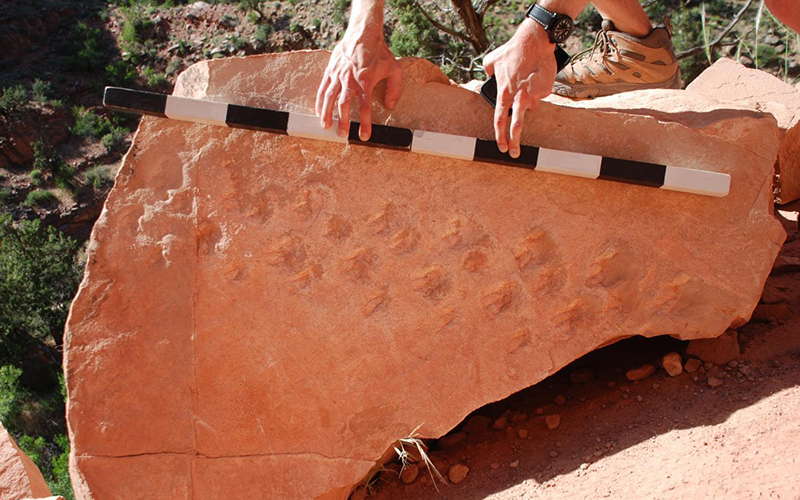 A set of 28 small footprints were discovered on a slab of rock that had fallen from the canyon wall. It turns out that the set of tracks is about 310 million years old – nearly 250 million years before the age of dinosaurs. Steve Rowland, a professor of geology at the University of Nevada, Las Vegas, who has been studying the tracks, said the find is remarkable. “There are some trilobite tracks and other little arthropods and things older. But in terms of actual vertebrate animals, these are the oldest by far. Nobody’s ever found any tracks this low, this old in the Grand Canyon,” Rowland said. Until now, no reptile tracks have ever been found in this type of rock before in the Grand Canyon. 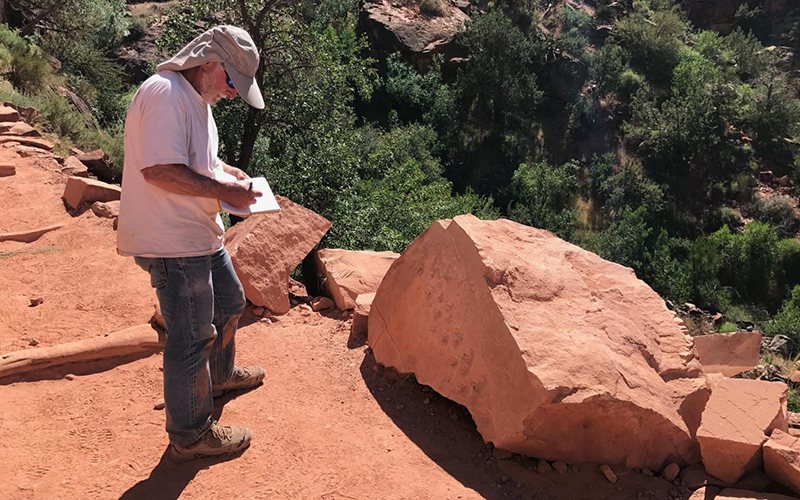 Rowland said paleontologists such as himself have never bothered to look for ancient animal tracks in that area because none had been found there previously. But this discovery is a game changer, he said. But what animal made those tracks is still a mystery. Rowland said it’s definitely some kind of prehistoric reptilian creature at the very beginning of reptile evolution. He said we can’t really know what the creature looked like without finding its fossilized bones. Rowland’s team will publish their research in January.